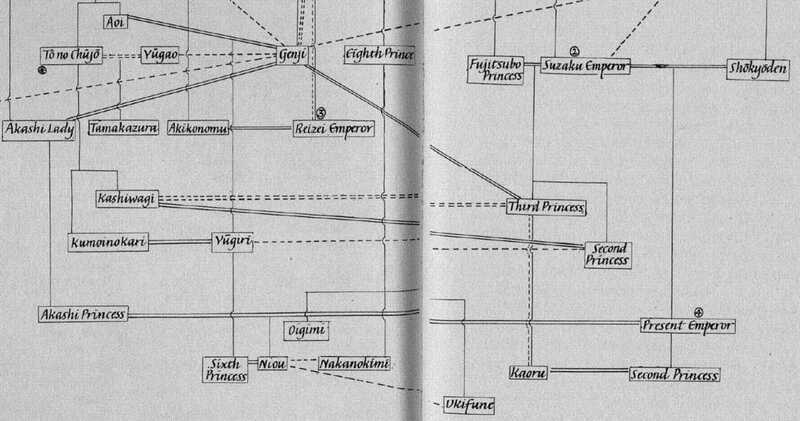 Genealogical chart of characters in the Tale of Genji. Reproduced from Richard Bowring, Murasaki Shikibu: The Tale of Genji* (Cambridge, 1988) with the kind permission of the author. 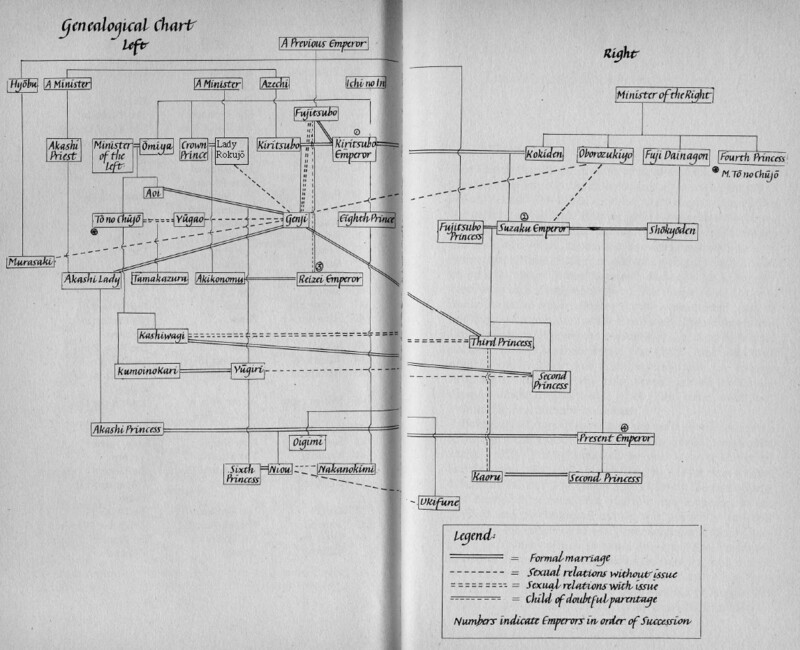 *Now back into print again in new edition (2004). Zoom into four sections here: top left, top right, bottom, legend. List of names. 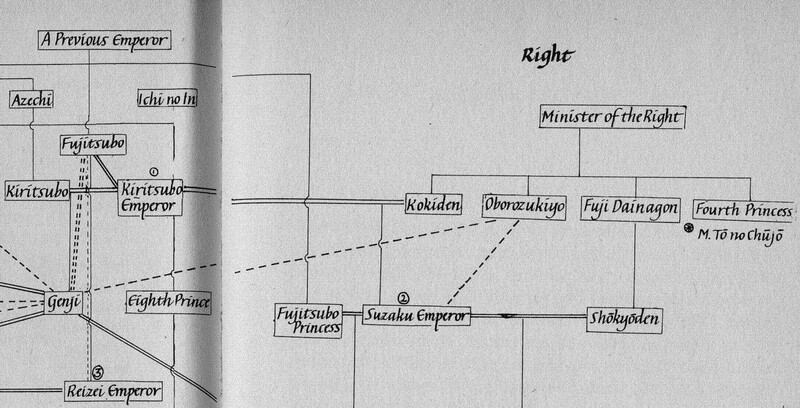 The spelling of "Rokujô" has been corrected in the image below and a line has been added under "A Previous Emperor" at the top to connect Fujitsubo with her father. 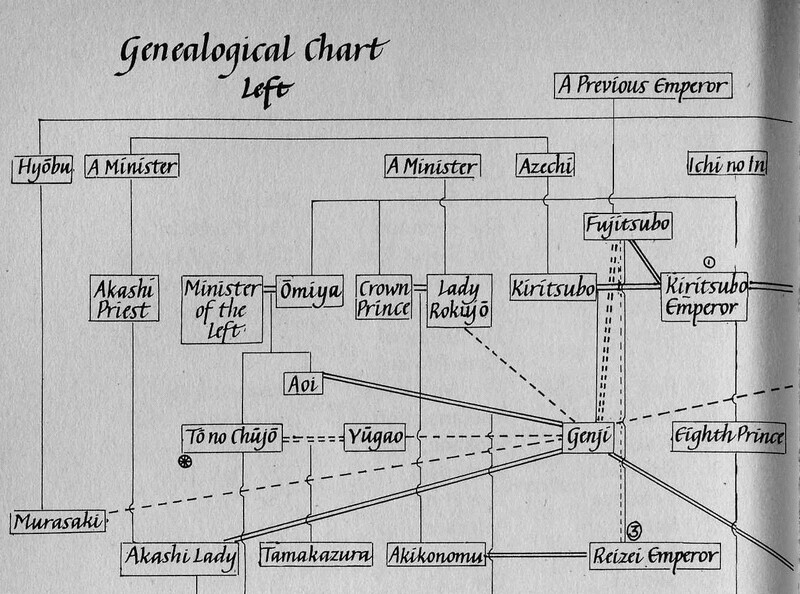 Note that dFujitsubo has two siblings: her brother Hyobu is Murasaki's mother, and also has a half-sister, "Fujitsubo Princess" (mother of the Third Princess). See the opening to "Spring Shoots" 1 (Tyler translation p. 577, note 2).